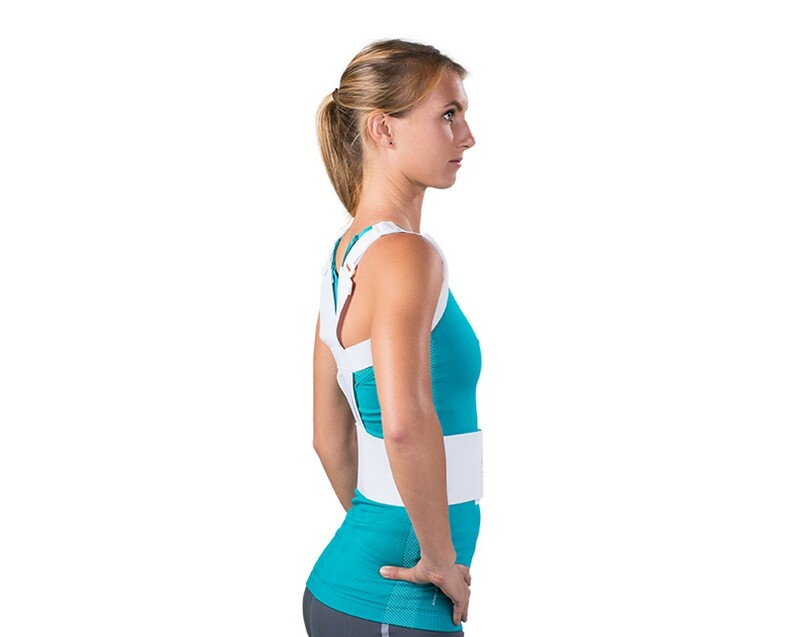 Improves posture while relieving shoulder and back pain. Prevent hunched shoulders, achy neck, and sore back. 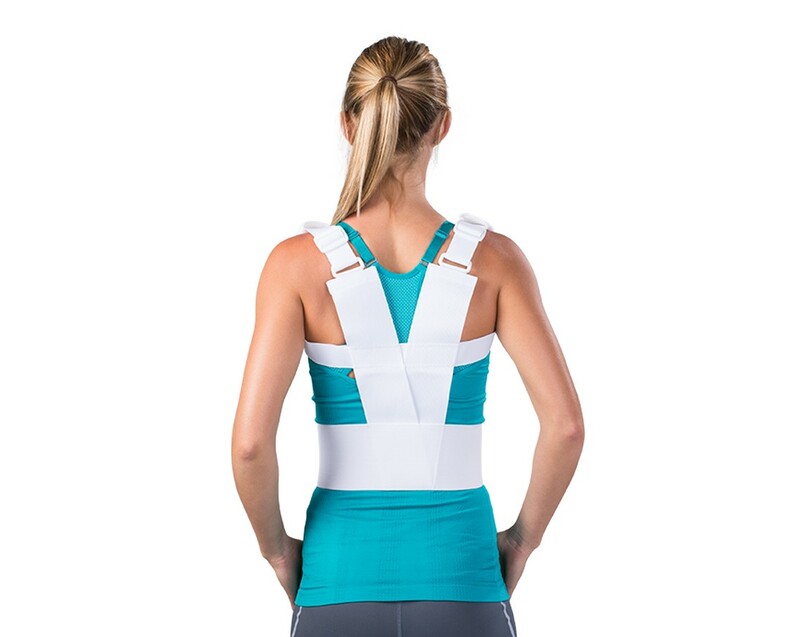 The Saunders Posture Sport Upper Back Support improves posture while doing daily movement (walking, working, heavy lifting, sitting at a computer and low to moderate activities). 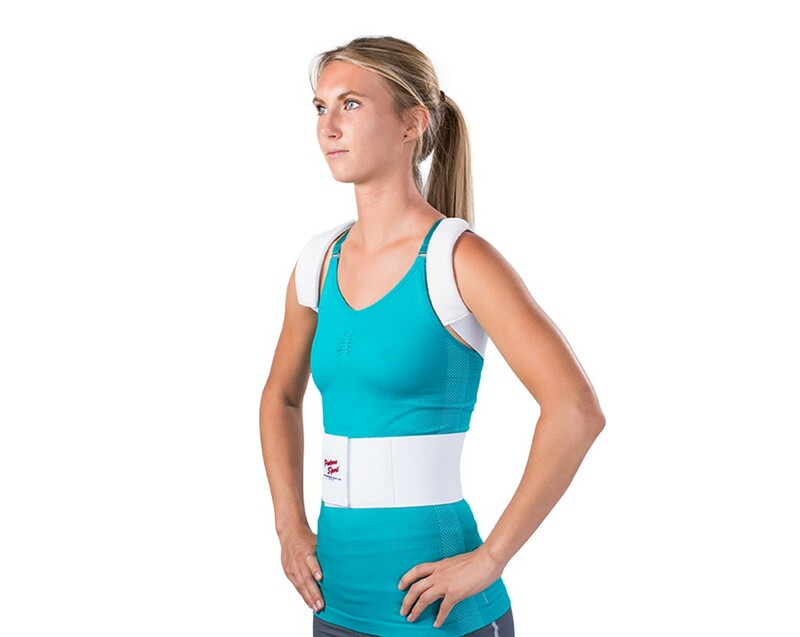 What sets this apart from other braces is that it anchors at the waist to stay in place, all day. Made with elastic and covered with soft cotton fabric to prevent any pinching or irritation, merely adjust the straps to find the best, personalized fit. Maintain perfect posture because of the criss-cross design, which prevents a hunched back and shoulders. Small Waist 22 - 30"
Medium Waist 30 - 42"
Large Waist 42 - 54"